We've all heard the legends. Sasquatch. Yeti. The abominable snowman. Wendigo. Some people believe, and others haven't seen enough evidence to prove of their existence. 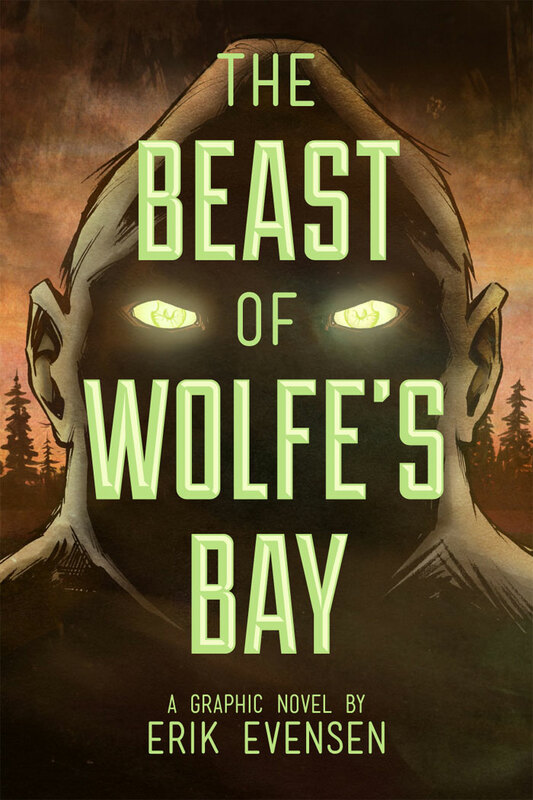 Perhaps the Beast of Wolfe's Bay is one of these urban legendary creatures. This was not my typical sort of graphic novel to read. As you could probably tell from my previous reviews, I have tended to stay within a certain few genre's from Marvel, DC, IDW, Dark Horse and Image. 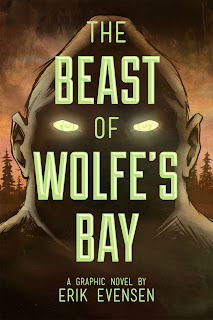 But when Erik Evensen contacted me for a review, I couldn't pass-up the chance. As much as I like reading within my own "comfort zone", I appreciate the occasional request (for the record, this would actually be the 2nd in 4 years) for a review that is outside my normal reading habits. I can honestly say, I wasn't disappointed in reading this book. The primary characters of Winifred Roth and Brian Wegman work well together. I could easily see these characters brought into additional stories in the future. Wegman is paleoanthropologist who seems to find himself in a professional rut and can't seem to find a way out. Winifred is a tried-and-true nerd who happens to have a PhD in folklore. Not your typical Mulder and Scully team, but they get the job done. We begin this book with the mystery of 2 deaths and no real suspects. With this in mind, I want to let you know that it seems that Evensen designed this book to be acceptable to readers of a younger persuasion... which is another reason why this wouldn't have come up on my normal reading list. While there is the implication of gruesome death, you never see anything. The "worst" scene of violence and "gore" is when one of the creatures get several fingers blown-off by a rifle shot. There are several references in this book that speak to my inner-geek. Star Trek and the Hitchiker's Guide are 2 pieces that are referenced that come top of my mind. There is an oddly placed debate between 2 of the supporting characters, Dr. Humphries and Chief Deputy Asher, about Data from Next Generation. I'm not entirely sure why Humphries is even debating as he's constantly coming down on Winifred and Brian for being nerds. It's seems too out-of-place, but I enjoy the debate nonetheless. At the end, Brian seems to become more accepting to Winifred's myths and fairy tale beliefs that he was at the beginning. I guess that's one of the major reasons why I could see them together in another story. The story and art kept me interested from cover to cover. After reading this book, I have already added other books that Evensen has published to my Amazon wishlist. This is a light read, and I would recommend this graphic novel to anyone. This is a great way to break away from whatever superhero, sci-fi or horror trades you're currently involved in. Give it a try and you'll see for yourself.